Taurus: …Ruled by Venus, you are easily enticed into spending money on beautiful things, body treatments, clothes and decorations for the home. Anything that helps make you or your space prettier is an easy sell when you are around. Thankfully, The Savvy Girls’ Money Book isn’t all fluff. Chantiri tackles awkward subjects like credit card debt, income protection, impulse buys, and superannuation in the same way an agony aunt might tackle a philandering husband. The book also focuses on prenupts, weddings, sexually transmitted debt, and buying a secondhand car without getting ripped off, issues that rarely get an airing in a less girl-focused finance book. The first thing I did was put a budget together on an Excel spreadsheet. I put down a figure of $20,000, which was the upper limit we wanted to spend. I listed all the costs associated with the wedding. Each time I paid for something or got a quote I would put this on the spreadsheet and it would calculate how much I had left. I found this helped enormously. Many of these personal accounts are tales of rags to relative riches. Chantiri’s women admit to ‘spending splurge[s]’ and ‘bills…getting out of control’, before undergoing a ‘financial transformation’ (term coined by Alex). This mythology of the self-made woman is Chantiri’s counter to the traditional Cinderella fairytale. Unlike marrying Prince Charming, however, wisening up financially is a much more achievable goal. 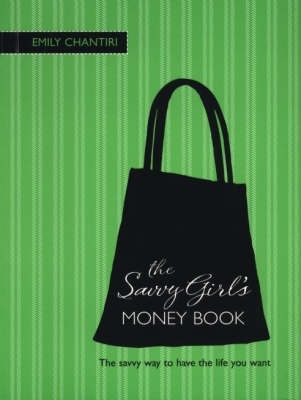 Conceptually, The Savvy Girls’ Money Book ticks all the right boxes. Girl-centric financial advice dressed up with sass, check. Real-person accounts to prove that any gal can become money smart, check. A slick design that fits into the little black handbag, check. Through its subversion of the women’s magazine genre, The Savvy Girls’ Money Book manages to stay fresh and relevant amongst a shelf of titles that focus on budget grocery shopping and or childcare. Indeed, it’s everything a single girl could want in a financial self-help book; if only it didn’t make them feel like a stereotype.